Growing Conditions: Sun to light shade. Dry soil. 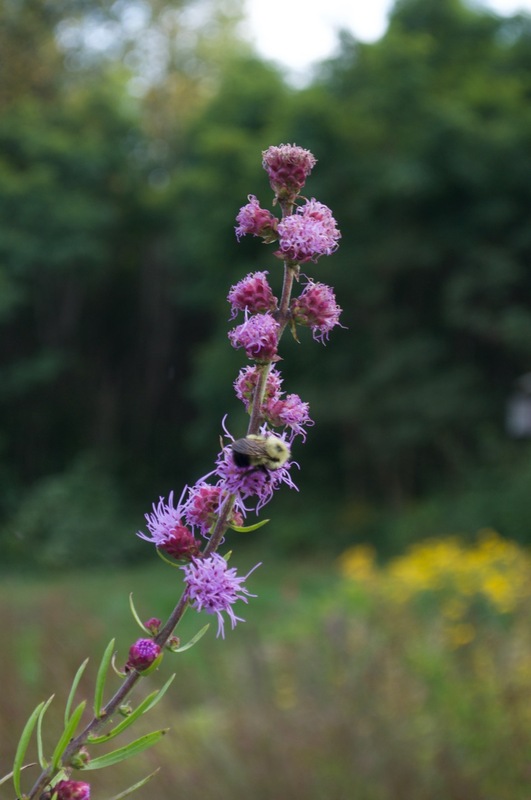 Wildlife benefits: All the Liatris are magnets for adult butterflies. From Ottawa Valley or eastern Ontario sources: No. Occurs in the wild in Canada only in the Windsor/Sarnia area. Remarks: A tall Blazing Star from oak savannahs. Distinguished by the well-spaced flower clusters.